If you are looking for the keys to being a successful personal trainer or how to build a personal training business, this post should help! These are personal training tips for personal trainers, not clients. 1. Know what your clients do. Besides keeping up with your professional education, you need to pay attention to what your clients are learning about. Reading professional journals is vital, but it isn’t enough. You need to be reading popular publications offline and online. They will be reporting new trends in nutrition, fitness and exercise and it is not uncommon for the credibility to be a bit questionable. Whenever you clients get exposed to misinformation, they will look to you to refute or confirm what they have been learning about. We aren’t talking about being physically flexible but that is important, but we are talking about flexible when it comes to how you relate and operate with your clients. Personal training is a personal business and you have to deal with people on a one-on-one basis. Things will come up and you need to stay flexible. It is advised that if you are bending a policy, be sure that your client knows about it. For instance, if someone has to cancel in less than a 24-hour notice because they got sick and you decide not to charge them, you need to make that clear to them by stating that you have a 24 hour cancellation policy and you should have paid for this session. But, I do understand that you are sick, so I won’t charge you this time. You want to make your sessions last longer than the time that they are actually with you by providing them with something to do between their sessions. Give your clients homework. Normally it could be a little exercise or two that they can do on their own. It could even be simpler than that, you could have your client practice standing with their feet under them instead of being wider than their hips and to start keeping their toes straight because it is better for the body. It could even be basic breathing exercises. You could even have clients keep a food diary or workout journal, then walk through what they have wrote down in a future session or follow up by email. Let’s be honest, knowledge will build confidence, so invest in your education even after you have gotten your certifications. What your professional associations offer and what they require are different based on the certification that you have. The organization which happens to issue the certification will inform you about what needs to be done to keep it up to date. Besides that, you will have to be studying and reading to keep up with the fitness news and trends. Studying up to date literature as well as attending a variety of classes and attending conventions or conferences are investments in your business and aren’t really expenses. 5. You are not your client. There is a very small percentage of clients you have will act and think like you do. Don’t develop any exercise program that would be effective for you for your clients, you need to put together a program that will work for your client. Most trainers will train their clients similar to training themselves, and they don’t listen to the client. They just aren’t doing the best for that client. 6. Maintain your Client Base. A common reason a personal training business will fail is because they cannot establish or even maintain a client base that is steady. Having low client retention and high client turnover rates can make it really hard to be able to run any type of business that is profitable. You need to be aware that when you try to have clients become too dependent on your services so that they stick around can provide opposite results. It may sound strange but trainers that try to retain clients simply by keeping them from certain instructions often tend to make the clients angry and lose those clients fast. Failing to maintain commitment. 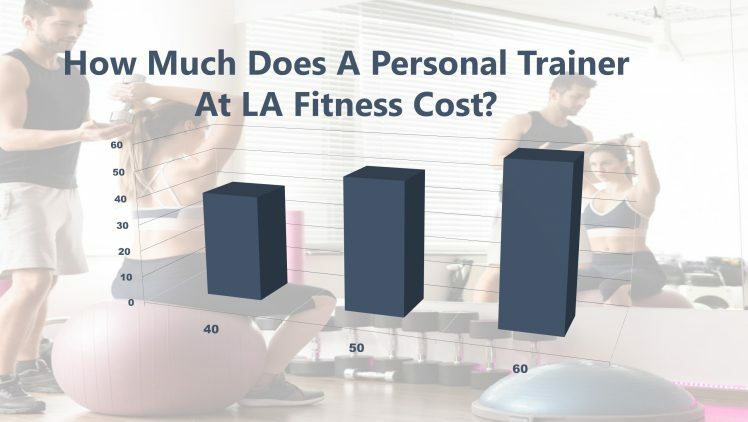 Clients have a lot more going on in their daily lives than having a personal fitness goal, but when a trainer lets the client regularly miss their sessions, those clients can’t make progress and they will eventually drop out. Lack of wanted results. Whenever a client does not see results that they are wanting or what they believed that they would get, they will lose interest then drop out. This can get to be a pattern, then your business will not get the clientele that is needed to sustain your business. Not being able to establish any goals. It is a big mistake whenever a trainer does not find out the goals of the client and confirm if they are achievable or realistic. Clients that have unrealistic goals will drop out when they realize they won’t accomplish what they wanted. 7. Do not just throw it away. You want to make sure that you are maintaining some sort of database that contains contact information of prospects and former clients who have done the initial consultation but did not sign up for more. In the future, it is possible for you to send them direct mail pieces that inform them of any new services that you have or special training packages that you are offering, which may include the addition of new trainers that they may be interested in working with. 8. Pick how much you are willing to work. Whenever you happen to own your own company, you cannot just bill each hour that you are working, because you will have to spend time running the business which includes training clients. In order to keep burnout away, take time and pick just how many hours per week you plan to work, and then make a schedule and stick to that schedule. You could work 12 to 15 hours a day, plus the weekends when you first start out, but that will get old fast so do not try to do that for a long amount of time. 9. Be Your Own Advertisement. 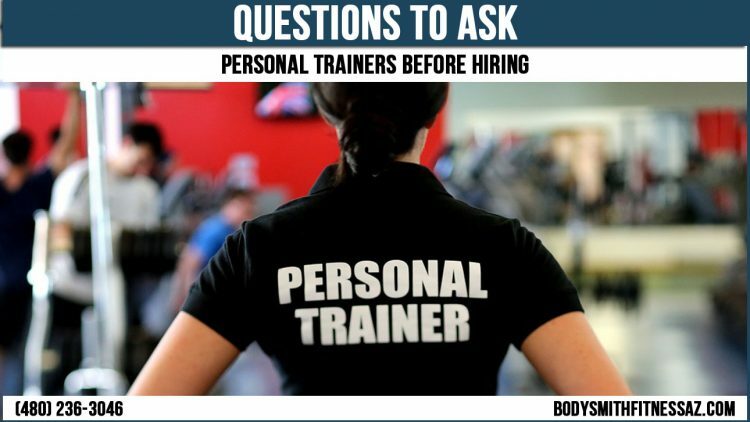 You want to advertise yourself as a personal trainer when you are in public by wearing clothing that has the company logo or name or some sort of indication of what you do. Turn yourself into a form of walking advertisement. It is an inexpensive, and easy way to be able to identify yourself as a trainer to people you meet. T-shirts are okay, but a nice polo-styled shirt is much better. Body Smith Fitness is a certified personal trainer in Tempe and fitness trainer offering all types of personal training programs for clients in the Tempe, Arizona area.